In the correct Islamic Way, Baya (Oath of allegiance/initiation) to a Shaykh/Imam/leader/Spiritual leader/a person who is given spiritual relationship with God and His Prophet (alaihiswalathu wa salam) is an obligation on every Muslim to remain as a true Muslim and true believer. Oath of allegiance is given ” to listen and obe”y the leader/guide/imam/spiritually authorized leaders. So how can you claim that those who abandoned “Oath of Allegiance” (Baya) are the saved sect? Any Muslim who lives on this earth and in sound mind should make “Baya” to to a Spiritual guide who will aid him in his Spiritual Journey to Allah in the way of Muhammad Rasoolullah (Sidq 17:80 Quran). It is obligatory for scholars and other believers to make Oath of Allegiance. Some innovators say, I am an Imam, I am a Shaykh, I am an Aalim, I know all Quran and all Hadith, so I do not need to follow any Spiritual guide and Imam!. This is a false claim, false salafi creed and others who imitate them should wake up! All Sahaba among them , those who were informed their assurance of Paradise (Asharathul Mubashireen) were given Oath of Allegiance to Abu Bakar As-Siddiq (R.A). The Companions did not say: We lived with Prophet (alaihiswalathu wa salam), we follow Allah and Prophet directly, we do not need any Imams or Shaykh!. Among them the great Sainthood of the Spiritual Succession of Abu Bakar Siddiq (R.A) was also went on to the line of the Naqshbandi Golden Chain though Salman Al Farisi (R.A) and inherited by Imam Jafar Sadiq (A.S) and passed on to the other Imams of Ahlul bayt as well as to the spiritual guides whom Imam Jafar (A.S) trained and authorized . But today, false salafis and other corrupt scholars and innovators saying: We do not need to follow someone in authority and spiritual leadership!. This kind of ideology is coming from Ego Satan and Dajjal!. Quran 25:43] Have you seen the one whose god is his own ego? Will you be his advocate? But the Pious Scholars of Ahlu Sunna Wal Jamah, they adhered to the traditions of Islam and kept following the Spiritual leaders of their time and made oath of allegiance to Awliya Allah (the Grand Shaykhs of Sufi tariqah). Today Wahhabi ideology is infiltrated to many Sunni groups and they are strayed with only by following the School of Jurisprudence . Not Tasawwuf (Spiritual Schools). Oath of Allegiance is also obligatory on every Murid of a Shaykh, when the Shaykh passes away, the Murid must renew his allegiance to a Shaykh who is appointed by his Shaykh. If his Shaykh’s Shaykh is living it is obligatory for him to obey the command of his Shaykh’s Shaykh. If the deceased Shaykh’s Shaykh who is alive appoint a Khalifa to represent the living Shaykh, they must follow him. If the Shaykh’s Shaykh who is still living has appointed a deputy in the place of the Shaykh who was passed away, then the followers of that Shaykh must follow the deputy appointed by the living Shaykh (the Shayk’s Shaykh) This is the adab (discipline) in Tariqah). So there is no way, one can abstain from Oath of Allegiance!. This are the examples from the life of Sahaba. Even if a person is great Saint of this time,he must renew his Baya in the absence of his Shaykh. This is the clear message we can receive from the life of Sahaba, especially from the life of Hazret Imam Ali ibn Abi Talib (A.S). Hazret Ali (A.S) or Hazret Hassan (A.S) did not went to make their own Jamath in the time of the rule of Abu Bakar (R.A), Omar Al Faruq (E.A) or Usman (R.A), of course they had their own spiritual gatherings and associations, but they maintained the Baya with the leader in authority in their times, but they did not separate from the main body. 2:208 O you who have believed, enter into Islam completely [and perfectly] and do not follow the footsteps of Satan. Indeed, he is to you a clear enemy. This is not the way of egoism or creating a self identity and social status. Those who went to make a self show off , they never succeed, they have been brought down from their spiritual ranks. The power and authority will be taken away from them. Because to carry the “Haqq” one ‘s heart must be from from Bathil (False hood). So you must know that, when Abu Bakar Siddiq (R.A) passed away, whole Muslims gave Baya to Umar, Usman , then to Ali and Hassan (Peace be upon them all). Since Naqshbandi Silsila come from Abu Bakar Siddiq (R.A) to Salman Al Farisi (R.A) then to Qasim bin Muhammad (R.A) and to Imma Jafar (R.A), you must know that Muslims were not betraying Abu Bakar Siddiq (R.A) and his Spiritual succession , when giving Baya to Umar, Usman Ali ,Hassan and the other Caliphs and Spiritual leaders. It is narrated by Imam Haakim that someone asked to Hazret Imam Ali (A.S): “Oh Commander of the Faithful , tell us about Abu Bakar. He said: “He is a person whom Allah called “Siddiq” from the tongue of the Messenger of Allah (Swall Allahu alaihi wa sallam). 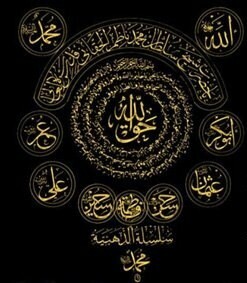 And he is the Caliph of the Prophet (alaihiswalathu wa salam), we accept him for our religion and for this world”. Allah says: 4:59 O you who have believed, obey Allah and obey the Messenger and those in authority among you. The word “Imam” also indicate Spiritual authority, not just political leadership (Amir)! So you claiming you are a Sufi/Sunni /Salafi etc, but check have you made an oath of allegiance to an amir (leader) of the Muslims? The Oath of Allegiance is to a living Imam/guide, this is the Sunnah of the Companions and those who followed them in Ihsaan. 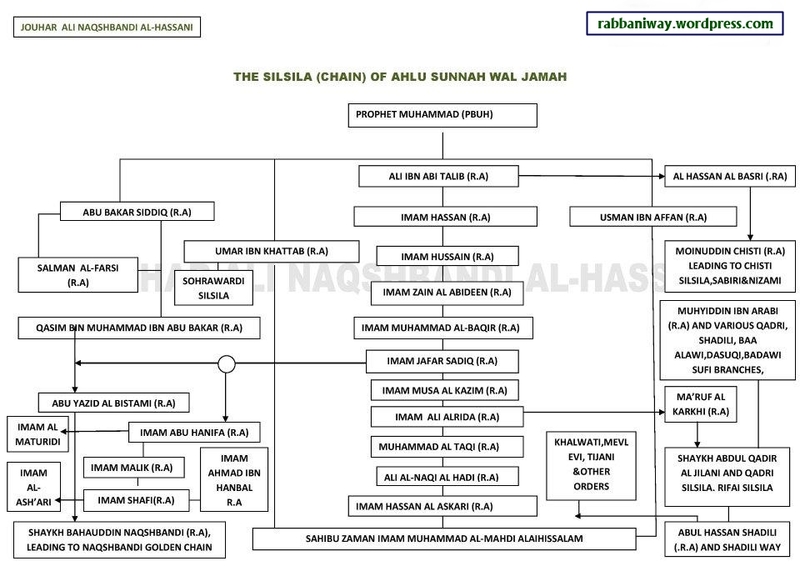 Shaykh Abdul Qadir Al Jilani (Q.S), a Great Saint, who is from the lineage (Ahlul Bayt) of Prophet (alaihiswalathu wa salam) made Oath of allegiance to many Shaykh. Most his Shaykhs were n0n-Sayyids. Imam Ghazzali (R.A) followed many Shaykhs, notably Shaykh Abu Ali Al Farmadi (Q.S) who was a Shaykh in the Naqshbandi Silsila. Shaykh Abu Yazid Al Bistami (R.A) followed many Shaykhs (Around 90 Shaykhs) . As for Muslim Ummah today, except in the Sufi Tariqah, there no Baya at all or there is no legitimate Baya in other groups, that connects a seeker to the Prophet alaihiswalathu wa salam in an unbroken Chain (Silsila). The Unity in Muslim Ummah is only possible when they follow the Imam and his creed that will be revived in every century. Since tere is Hadith speak not about a Caliph, but about an Imam. It is clear that there will be such great Imams and Shaykhs that comes from the same authentic spiritual lineage from the time of Sahaba until the last day. So it is impossible for a believer to refrain from making Bayah. It is not for a person to die as a Mumin (true believer) without giving Bayat to a Muslim leader. It is deviance to reject Baya from the Pious Scholar (Awliya Allah). So these are the guidance which you must look forward in your life, there can be many sects and ideas, many follow their own ego. The Muslims have fallen into the trap where they are Muslim only by names. But their life style and habits are that which is haram and against Islam. We must ask Allah’s forgiveness and follow the Path of Awliya Allah and associate with those who follow their ways with a true and sincere heart. Leave those who are still slaves of their ego and have hatred, jealousy and anger to the fellow followers. Because today we have so called Sufis, who claim they follow this shaykh and that Shaykh, but in reality they follow their own ego and have hatred and jealousy towards other followers of the Path. We need Allah’s Love , His Prophet’s (alaihiswalathu wa salam) Love and the Love of their Lovers. But we must Submit to the way of Love with our whole heart and whole effort. We are not here to become another idol. We say we are Rabbaniyyun . We follow those who are Rabbani, who purified their heart from all forms of outward and hidden idolatry . Quran 3:79 It is not for a human [prophet] that Allah should give him the Scripture and authority and prophet hood and then he would say to the people, “Be servants to me rather than Allah ,” but [instead, he would say], “Be pious scholars of the Lord because of what you have taught of the Scripture and because of what you have studied. So the first matter in the religion since the time of Prophet alaihiswalathu wa salam was to testify faith (Shahada) and then make Oath of allegiance. But today, people entering in (deviant ways) Islam without initiation (Baya) and living the life of Jahiliya period !. Shahada (faith) must be taken from a Pious Scholar if one can reach and must give Baya to the Pious Scholar (Shaykh of Tarbiya). The Scholars who are known as Heirs of Prophets in regard to their inward spiritual powers, outward religious life and spiritual succession. Not from Book Scholars or University doctors, who do not fall under the category of heirs of Prophets.! Quran 2:85 Then is it only a part of the Book that ye believe in, and do ye reject the rest? but what is the reward for those among you who behave like this but disgrace in this life?- and on the Day of Judgment they shall be consigned to the most grievous penalty. For Allah is not unmindful of what ye do.